Bubbe can be with us forever. Miss Grandpa? Bring his soul home and help him make a difference. For what is life in its most essential form, life fulfilling the purpose which G‑d created it to fulfill? Life, in the ultimate sense, is a soul in a physical body causing the stuff of this world to be revealed as G‑dly. This is what we achieve every time we do a mitzvah, a good and G‑dly deed. And when our positive actions are inspired by the life of one who has passed on to a more spiritual state of life, and are motivated by the desire and goal that they be in his or her merit—we give life and growth to a soul of the next world. Through our actions, the souls of those who passed on can attain something they could not achieve on their own. They can "live," in the ultimate sense of what life is about—affecting this world, making G‑dliness felt in this world. What is Kaddish? While Kaddish is commonly known as the "mourners prayer," a reading of the text reveals that it is not about death or mourning, but the public proclamation of G‑d's greatness. By rising from the depths of anguish and loss to offer praise to G‑d, we transform the event of death into an act of life. Annual day of memorial: The anniversary, on the Jewish calendar, of a person's passing, is his or her "Yahrtzeit." On this day we remember and memorialize the life and accomplishments of the departed soul, and rededicate ourselves to perpetuate his or her legacy and undertake additional good deeds for the elevation of the soul. Memorial prayer. 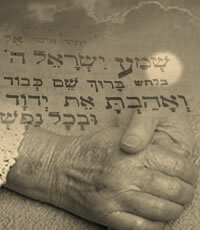 Four times a year — on Yom Kippur, Shemini Atzeret (the eighth day of Sukkot), the last day of Passover, and the 2nd day of Shavuot — a special memorial prayer, called "Yizkor," is said in the synagogue in remembrance of the soul of a departed father or mother, which also includes a pledge for charity in their merit. By purchasing a Memorial Plaque at the Chabad House, you ensure that your loved one is remembered and his or her soul remains alive. Kaddish will be recited on the day of the Yahrtzeit and a memorial light will be lit during the week of the Yahrtzeit and on holidays when Yizkor is recited.